Indowebnet Review 2019: Is Indowebnet a Good Hosting? Indonesian Web Hosting (trading as ‘indowebnet’) is a no-frills website hosting provider based – unsurprisingly – in Indonesia. They sell a small selection of basic plans with very few additional features. Indonesian Web Hosting is a company that offers web hosting under the ‘indowebnet’ brand name. This company’s simple no-frills website sells its simple no-frills services. When viewed from the UK at least, their website is ostensibly in English apart from any news items that have been posted in Indonesian. Theoretically, you can use their drop-down menu to switch the website into many different languages, but this merely initiates a Google translation of the website content. They offer two shared hosting packages – Basic and Corporate – with each of these split further into three resource levels. The Basic plans are… pretty basic. 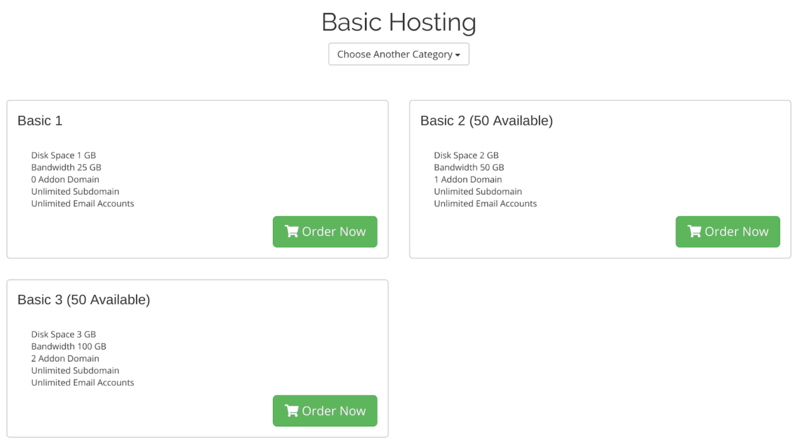 Basic 1 comes with 1GB disk space, 25GB bandwidth, and no add-on domains; Basic 2 includes 2GB disk space, 50GB bandwidth, and one add-on domain; Basic 3 has 3 GB disk space, 100 GB bandwidth and three add-on domains. Corporate 3 has 15GB disk space, 2500GB bandwidth, and ten add-on domains. All plans come with unlimited subdomains and email accounts, but that’s all there is to these simple, shared plans. There are no add-ons or optional configurations, so what you see is exactly what you get. The inclusions are a little more in-depth for storage servers, with LiteSpeed Web Server, licensed cPanel control panel, Linux CentOS, free Cloudflare CDN, external data backup, and a free domain for two years. However, the storage servers were all reported as being “out of stock” at the time of writing this review. Prices start quite cheap but begin to get quite expensive when you move up from the Basic plans to the Corporate plans (which don’t include any more features, just more resources). You should also consider that domain registration and SSL certificates both cost extra. Their minimalistic website is mirrored by minimalistic price plans that can only be bought in one-year terms. There’s no free trial and no money-back guarantee. As far as I can tell from the website, signing up for hosting involves first creating an account and then sending a bank transfer. Customer service can be obtained only via a contact form on their website, except that they also allow you to log in to a client zone that has a network status page and… who knows what else? They don’t advertise their average response times to messages or even their business hours, and their knowledge base is virtually non-existent. Unfortunately, this vendor’s stripped back website and lack of information about their servers, data centers or uptime really make it hard to make an informed choice. That said, this could work for you if you need a no-fuss basic plan with no complex add-ons. Wondering how Indowebnet stacks up against other Web Hosting companies? Enter any other Web Hosting company and we will give you a side-by-side comparison.